Zatoichi Hand Forged Sword Black(SW-351B) Swords: katana, samurai sword, japanese sword, training swords, medieval swords, tameshigiri sword. High carbon steel blade, hand forged, sharp. 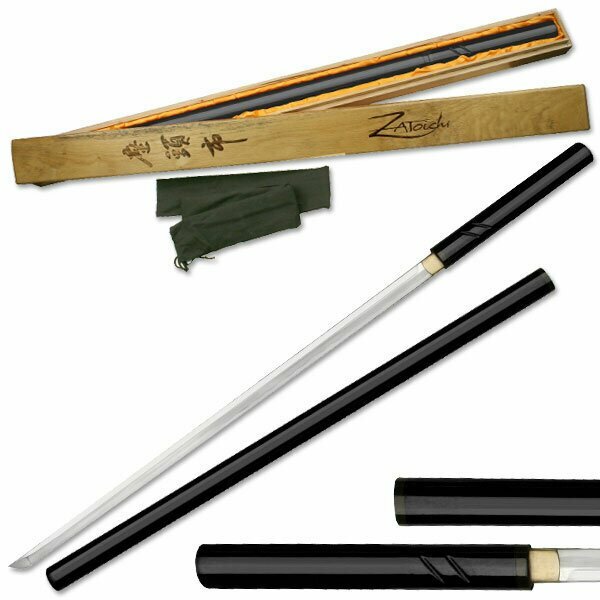 Comes with black lacquered finished scabbard Includes sword bag and wooden box.